The Raxxess CPU Mount for Music Production Center Base attaches almost any CPU weighing up to 40 lb (18.1 kg) to the Chief QMP1FB fixed music stand or the QMB1MB mobile music cart. This mount allows you to adjust its depth without any tools. will this work with a luxor standing desk? 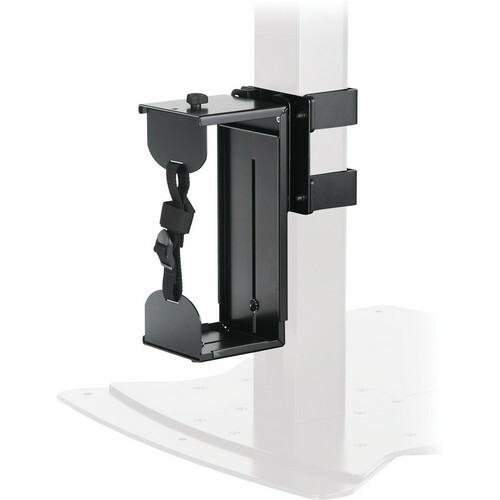 This mount is designed specifically for use with Chief QMP1FB fixed music stand and QMB1MB mobile music cart. Use with other products must be carefully considered and at your own risk. We cannot recommend it for any other purpose other than its intended design and application.